Embark on a Cochin beach tour and you will soon find out that there are enough beaches to keep you hooked. You may have heard of Cherai. What most travellers do not know is that next to Cherai, there are three other beaches - two on the south and one to the north. If you are staying at Cherai, hire a bike and travel through the villages. 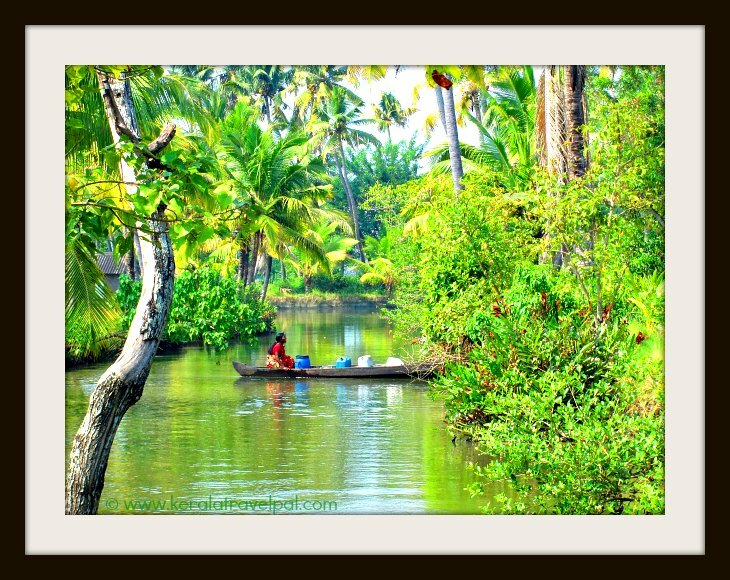 That way you can explore the beaches and travel around the backwaters without spending a fortune. It is refreshing to see beaches such as Puthuvype are starting to get deserved attention. Puthuvype has no hype, but is going to change soon. Things are at a different pace at the lovely landscape of Cherai. Hit this shore and any desire for change of pace will soon be a reality. This is one of the most sought after beaches of Central Kerala. The backwater is only a few hundred metres from the beach. Cherai beach is narrow and extends several kms. No need to restrict yourself to the main beach, especially when it is crowded. From Cherai beach, travel south along the coastal road for a couple of kms. Eventually you will come across a couple of statues in front of a nearly deserted beach. 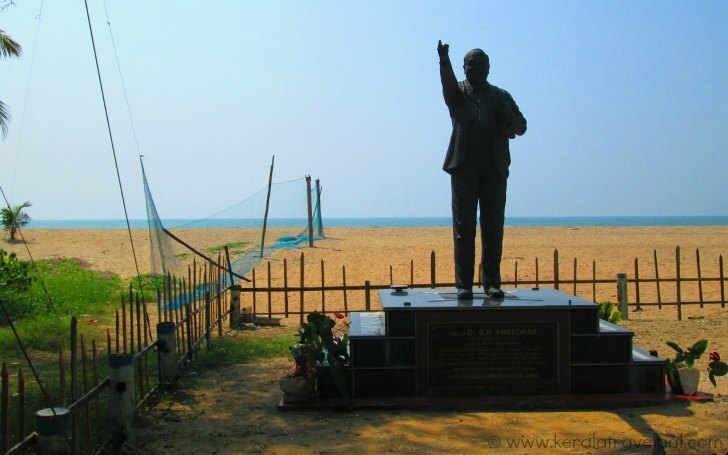 One of the statues is of Ambedkar, so the beach is also known by the same name. If you want to uncover more of Cherai, travel about 4 kms south through beach roach. Hire a bike or take a tuk tuk. You can even wander through the seemingly never-ending stretch of sand. If not for the couple of small country boats and the wooden umbrellas, you may even miss Kuzhuppilly beach. Overshadowed by Cherai and almost unknown outside the region, Kuzhuppilly is a marvel that may inspire you to stop by for an hour or two. Munambam beach is at the northern tip of Cherai land strip. Travel north from Cherai shops for about 5 kms and you will reach the area where River Periyar flows into the sea. The beach is right there. Enveloped by thick shades of coconut palms and traversed by backwaters, Munambam is pretty end to end. The beach is curvy and wide. There are Chinese fishing nets, a walk way to the sea and a fishing harbour. Fort Kochi is one of the most visited places in Cochin. Never a comparison to the crowded mid city, this quaint precinct keeps an identity independent to even the rest of Kerala. Spending some time at the beach is an essential ingredient of Fort Kochi holidays. Walk the beach side paths and marvel the Chinese fishing nets. If time is right, you can witness fisher folk lifting them. You are always welcome to participate. And that will add some variety to your Cochin beach tour. Keep away from swimming. You are better off with other regional beaches. Are you really after beach fun? Then head to Puthuvype, the beach that is coming up as an alternative to Cherai. Compared to Cherai, this beach boasts a few advantages. Puthuvype beach is closer to the city. It is also shallower and less crowded than Cherai. Puthuvype too has Chinese fishing nets, there is opportunity to ride beach buggies and there is a light house for you climb during evenings. The uncrowded days of Puthuvype will soon be over since Tourism Dept is keenly intent on developing it. An Oceanarium, massive and Asia’s largest, is on the cards. It will be a waterfront reality in a few years. This is the nearest beach for tourists visiting the farms of Kannamaly – Chellanam. This small beach is usually a secluded spot.